We're pleased to offer you an exclusive selection of Barcelona vacation rentals, hundreds of hotels and all of the essential information necessary to successfully plan your stay in Barcelona, Spain. Barcelona Apartments - When you're renting an apartment, Barcelona Net puts you directly in contact with the owner. We have furnished apartments for long or short term rentals. Vacation and holiday apartments for rent, Barcelona apartment exchanges and more. 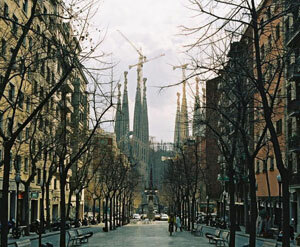 Barcelona Hotels - Our hotel search engine allows you to quickly find the best hotel in Barcelona that meets your needs. Take a look at the Barcelona map, to decide which neighborhood suits you, then search for cheap Barcelona hotels, or luxury four star hotels in Barcelona.